If there is one truck out there that people are talking about, it’s the 2017 Honda Ridgeline in San Antonio. Breaking the rules of conventional pick-up trucks, the Ridgeline is wowing truck lovers for several reasons. This 2017 truck model is not only on target with top-of-the-line technology, but is ahead of the game! Fiesta Honda is proud to offer this truck to our customers, so before you come in for a test dive let’s go over the highlights of the new Ridgeline! Honda made a seemingly unchangeable detail of trucks the star feature. Think of it as a “smart bed” – “From off-road toys to 4’ x 8’ sheets of plywood, the bed of the Ridgeline was designed with minimal wheel well housings in order to maximize hauling capabilities.” Simple enough, right? The actual tailgate itself if smart too, opening multi-way unlike traditional tailgates. You are able to open the truck bed like a door or like a regular tailgate. Honda has also invented a solution to the low-storage problem with the In-Bed Trunk® that allows you to store items securely in the 7.3 cubic feet space located in the bed, and lock it, too. It even comes equipped with a drain plug so you can use it as an ice chest! We could go on about the truck bed’s other cool features like the Truck Bed Audio System, but we need to keep moving so let’s talk about the interior. The interior of the 2017 Honda Ridgeline has an available 8-inch display, push start button, one-touch power moonroof, Bluetooth connectivity, 4.2” multi-information display, and a center console that’s big enough for a 10-inch tablet, just to name a few. There’s seating for up to five adults comfortably, but if you are only seating 2 or 3 people, the seats are 60/40 lift-up rear seats to make room for extra storage. For the couple that is constantly switching who drives, you’ll love the memory seat that has driver memory settings for up to two people. Just when you think this truck can’t get any better, you find out about the power capabilities. The Ridgeline is available with front or all-wheel drive but is powered by a 3.5L 280 horsepower V6 engine. And for all of you truck lovers that like a good towing capacity, the Ridgeline can tow up to 5,000 hefty pounds backed up by the 262 lb-ft of torque. Need we go on? Continue the excitement and come on down to Fiesta Honda to get your hands on the intelligent steering wheel of the 2017 Honda Ridgeline in San Antonio. – It will have an all-new turbocharged engine. This turbocharged engine will offer a boost in torque and in fuel efficiency, according to Honda. – The redesigned Civic will also benefit from a longer wheelbase, which will allow for more impressive handling. – It will also boast bigger, 20-inch wheels, which will also allow for more impressive handling. – Additionally, new LED headlights will expertly compliment the Civic’s completely remodeled, sporty exterior. – The new Civic’s interior will also be thoroughly reconfigured to go with the Civic’s refreshed, more athletic image. Honda hasn’t released many concrete details about the 2016 Civic except the ones we’ve mentioned above. We anticipate that the new Civic will have some very exciting tricks up its sleeve that haven’t been announced yet, however. And we definitely anticipate some awesome safety extras like blind spot monitoring and lane departure warning. In other exciting news, Honda has also announced the imminent release of a redesigned CR-Z model, which will also offer a turbocharged engine. We’ll be back with more news about the 2016 Honda Civic when Honda releases more information. In the meantime, please check out the new Honda models at Benson Honda if you’re looking for a new vehicle! – All of the new HR-V models with some awesome standard features, which include Bluetooth smartphone connectivity, alloy wheels, a Magic Seat that folds completely into the floor, 58.8 cubic feet of cargo room, a multi-angle backup camera, and hill start assist. 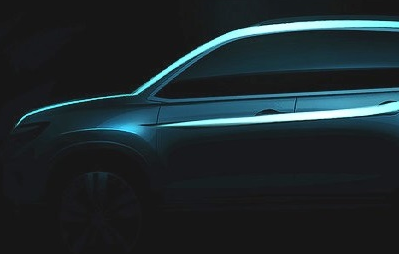 – The EX model, which is the second-highest trim, will offer SMS text message functionality, automatic climate control, a 7-inch audio touchscreen, heated side mirrors, fog lights, and Honda LaneWatch. – The EX-L model, which is the most luxurious trim, will offer everything the EX model offers and also boast roof rails and Sirius XM Radio. – The HR-V will be an overachiever in terms of looks. Its sleek angles, CR-V-like front end, and stylish hidden door handles are just some of what there is to like about it in terms of design. Are you excited about the 2016 Honda HR-V? Get in touch with us at Benson Honda, and we’ll let you know right when this new Honda arrives to our San Antonio dealership! The 2015 CR-V with front-wheel drive now has a combined fuel economy rating of 29 mpg, a city fuel economy rating of 27 mpg, and a highway rating of 34 mpg. These amazing fuel economy ratings are practically unheard of in its class. (Based on EPA estimates. Use for comparison only. Mileage will vary). The CR-V’s signature 5-speed automatic transmission is swapped out for CVT in the 2015 model. This improves the crossover’s fuel efficiency as well as the way its engine performs. For those looking for a little extra luxury and pizzazz, Honda’s added a Touring trim level to the 2015 CR-V’s trim options. This deluxe trim features a suite of highly innovative safety features, including a lane departure warning system, adaptive cruise control, automatic braking, and a forward collision warning system. All trims of the 2015 CR-V get an updated grille, chrome accents, and updated, fierce-looking alloy wheels. Plus, interior updates include a center console armrest, telescoping sun visors, and a 7-inch touchscreen. Like previous CR-V models, the 2015 CR-V has a 2.4-liter, 4-cylinder engine. Unlike previous models, the new CR-V’s engine has an Earth Dreams upgrade, which enhances its performance and fuel efficiency. Want us to let you know when the 2015 CR-V hits our showroom floor? Contact us at Benson Honda! 1. Honda revealed their self-driving car prototype in Detroit this week, and the vehicle successfully drove itself on an 8-mile loop in the city! Honda also, along with other automakers, pledged support for the University of Michigan’s Mobility Transformation Center, a research center that’s developing advanced self-driving car technology. Honda’s definitely stepping into the driverless car game, and we’re expecting big things from them! 2. The majority of the 2015 Honda lineup is here! The 2015 Honda Fit, 2015 Honda Accord, 2015 Honda Pilot, 2015 Honda Odyssey, and 2015 Honda Crosstour have all hit the showroom floor! Check out the 2015 Hondas at Benson Honda! 3. Exclusive footage of Ariana Grande, Christina Perri, Demi Lovato, and other top pop stars performing on the Honda Stage at the iHeartRadio Theater is now available on the Honda Stage YouTube channel! Check out the performances. They’re pretty amazing! 4. Honda is currently purchasing land in India for a new plant they have in the works. The new plant will be in Gujarat and will perfectly meet the needs of the growing number of Honda enthusiasts in India. Continued global expansion is definitely on Honda’s to-do list, and we’re excited about it! Want to check out some of those top 2015 Honda models we mentioned or pick our brains about anything Honda or car-related? Drop us a line at Benson Honda! It’s no surprise to us here at Benson Honda that so many Hondas receive such high safety ratings from the Insurance Institute for Highway Safety (IIHS) and the National Highway Traffic Safety Administration (NHTSA). In fact, did you know that the 2015 Honda Fit has already been named a Top Safety Pick by the IIHS and that the brand new 2015 Honda Odyssey has already received a 5-star safety rating from the NHTSA? When it comes to safety, Honda’s definitely ahead of the curve. This is in part because Honda is dedicated to finding and using technology that improves the safety testing of their vehicles. To this end, the automaker recently announced that they are going to start using new, innovative software that will simulate collisions while giving engineers a comprehensive, 360-degree view of vehicle body damage. This software will give engineers a look at the effects of every possible crash on every inch of a vehicle’s body during every millisecond of a collision. The software, which is called Real Impact, was created by 3DXcite, a company that creates high-end 3D visualization in real-time. Honda engineers worked with 3DXcite to make Real Impact as accurate as possible. Real Impact is highly precise and offers a plethora of critical data Honda can use to redesign their vehicles and make them even safer during crashes. Honda is the first automaker to use simulation software that provides such a detailed and instantaneous look at the effects of crashes on vehicles. And that’s just one more reason why Honda’s leading the pack in terms of protection. If you’re looking for a new car, we encourage you to check out the ultra-safe Hondas at Benson Honda!